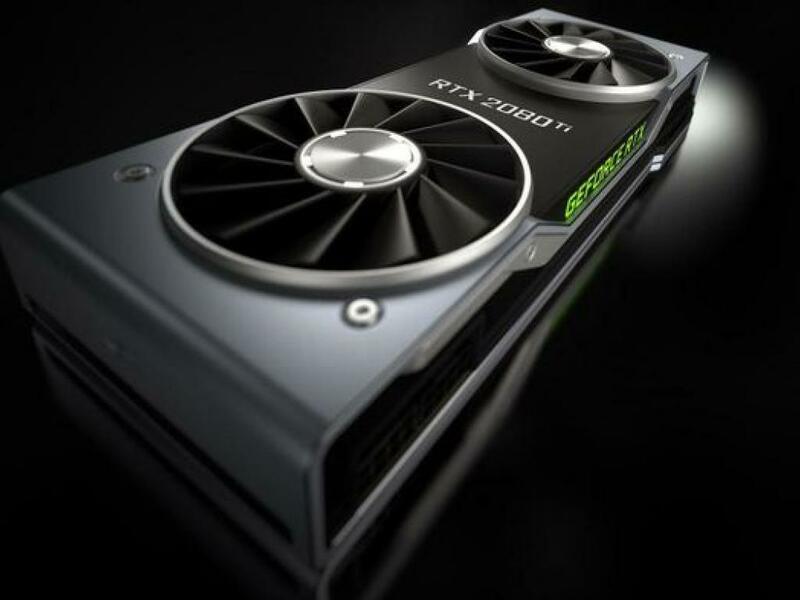 Earlier this week, technology company NVIDIA Corporation (NASDAQ: NVDA) added three products to its graphics card lineup, and consumers have been analyzing the new cards' features ever since. 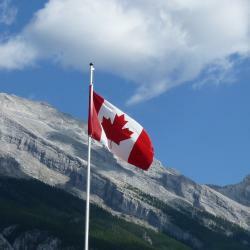 Some observers were ecstatic, including Loup Ventures' Gene Munster, who described the GPUs as the "holy grail of computer graphics." New data from online market research platform Statista confirms that, for PC gamers, Nvidia's products are indeed the top pick. “As can be seen by the following infographic, the days when Advanced Micro Devices, Inc. (NASDAQ: AMD) ruled the PC gaming market are well and truly over,” Statista data journalist Niall McCarthy said in a post. 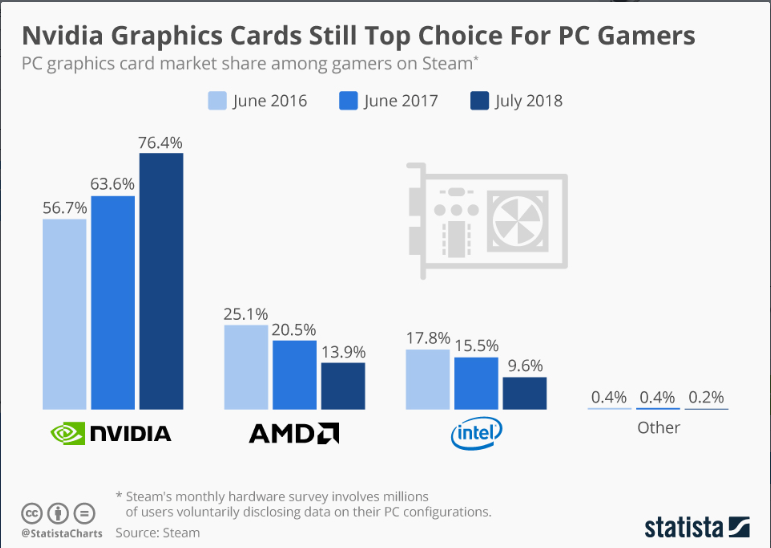 Among Steam gamers, 13.9 percent opted for a GPU made by Advanced Micro Devices, Inc. (NASDAQ: AMD) in July, down from 25.1 percent in June 2016, according to Statista. Nvidia has tightened the competition recently, resulting in a market share increase from 56.7 percent in June 2016 to 63.6 percent in June 2017 to 76.4 percent last month. “Its dominance can be seen by the most popular graphics cards among Steam users, all of which are Nvidia models. The GTX 1060 has the biggest share of the Steam user base with 12.9 percent, followed by the GTX 1050 Ti (9.9 percent) and GTX 1050 (6.4 percent),” McCarthy said. 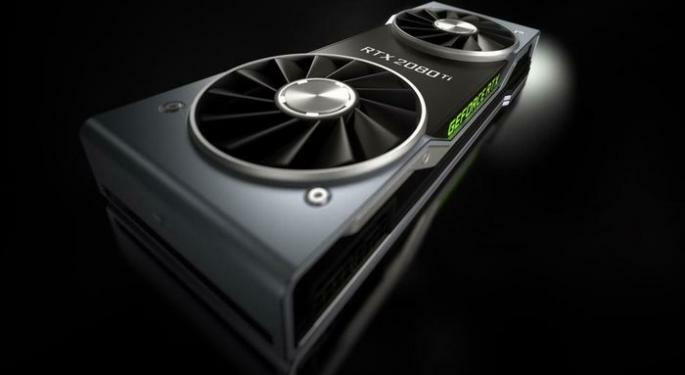 The GeForce RTX graphics cards will be available Sept. 20. The products include a graphics framework that integrates artificial intelligence; a memory system for high-resolution gaming; improved VR application performance; and real-time ray tracing capability for objects and environments, according to Nvidia.